Where Is The Value In Games? According to Paul Heydon, an investment banker with Avista Partners with strong games sector experience and having advised on transactions in the sector to the value of over $ 1 billion, the global games market "cap" has reached $105 billion. During a talk at Edinburgh Interactive last week, Heydon offered a glimpse into the total value of the market - and where all that money is going. 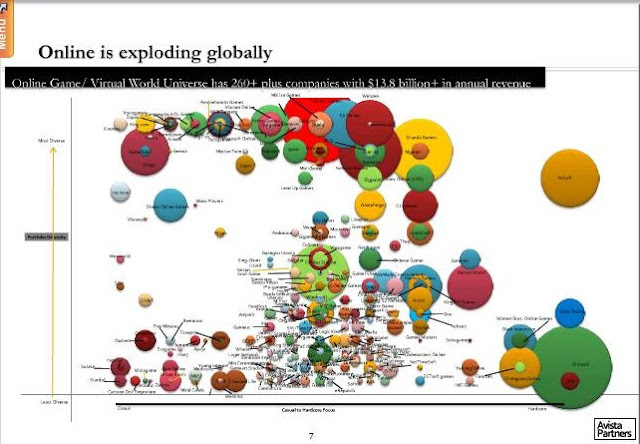 Here is a link to his full presentation Disruption = Value Creation in Games. Heydon defines Disruption for the Games Industry, as “innovation that suddenly and unexpectedly creates a new market by applying a different set of values”. Heydon pointed out that online games - which includes MMO and social/casual games - was now worth around 71% of the non-Nintendo PC/Console area. 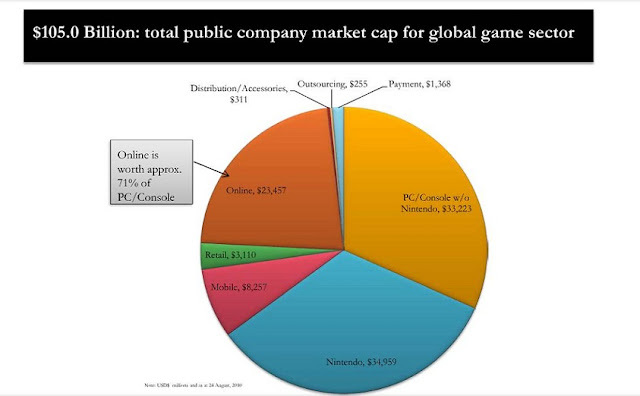 Heydon said that most analysts don't factor in revenues from anything outside of the traditional PC & Console sector. Once you factor in online games the number jumps to $105 billion. Heydon also said that mobile may seem small, but will keep growing, and also eat into the larger shares taken by the Nintendo and non-Nintendo segments. Same goes for Payment Services, which will grow and benefit in line with the rise of online and mobile. 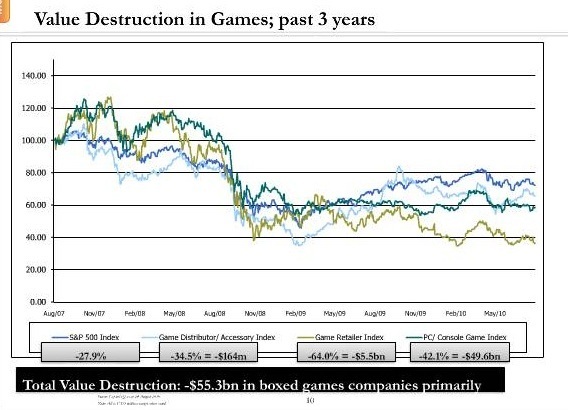 On the other side of the equation, Heydon stated that the value destruction in Games over the past 3 years totals $ 55.3 billion, in boxed games companies primarily.